Fudging information on a car insurance application to get a lower rate might not seem a big deal to you, but it is to car insurance companies. 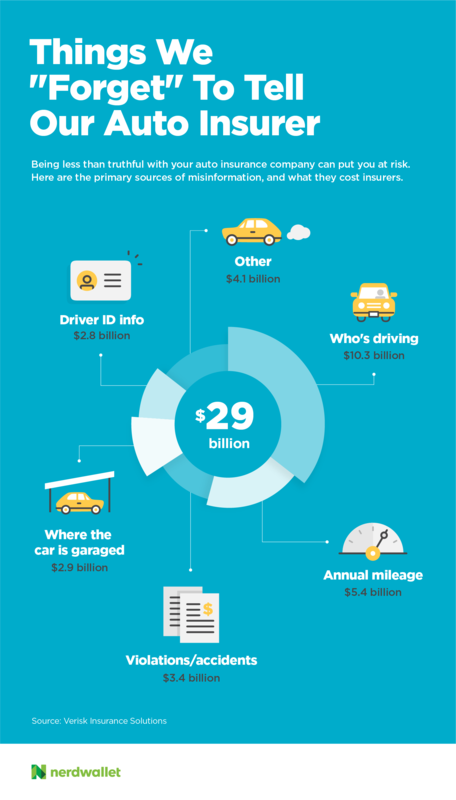 Lies and honest mistakes by customers and insurance agents cost car insurers an estimated $29 billion in 2016, according to a new report by Verisk Insurance Solutions, a data analytics company. That amount equals 14% of the total premiums that motorists pay for personal auto coverage, the report estimates. You’re supposed to list the licensed drivers in the household on a car insurance policy. But Verisk estimates 12% to 15% of car insurance policies are missing drivers. A parent may forget to add a newly licensed teen driver or young-adult child who returned home, for instance. 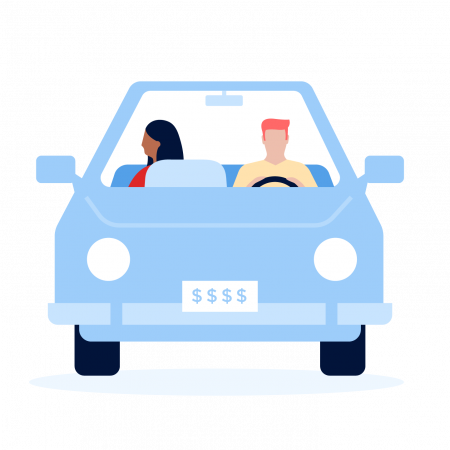 A Verisk study at one of the 10 largest insurance companies found that it took more than a year on average for new drivers to be added to policies. The type and age of a car, who owns it and whether it’s used for business are some of the details that affect car insurance prices. Some mistakes happen because of misunderstandings. An Uber driver might not realize he needs rideshare insurance. Others are deliberate. Verisk said that people sometimes insure a vehicle they don’t own to get insurance for someone with a bad driving record. Keeping violations secret to avoid an insurance increase after an accident or ticket might be tempting. But the insurance company can find out by checking your motor vehicle record. Sometimes violations fall under the radar if insurers don’t monitor records closely enough. Foreign driver’s license abuse is becoming an increasing problem, too, the report says. This is when someone pretends to be a foreign driver to hide violations. The higher price for being a new driver in the U.S. is less than the surcharge for a bad driving record, according to Verisk. Car insurance is based partly on where the vehicle is garaged, meaning where it’s usually parked when it’s not in use, like your home. Sometimes people forget to inform the insurer when they move. But some customers list a different address to get a cheaper price. Verisk said a vehicle insured in Gary, Indiana, but garaged in Chicago would be priced 35% less than it should, for example. A Verisk analysis of an insurance company’s policies found that more than 10% of customers listed wrong addresses. The most blatant errors were addresses for prisons or check-cashing companies. Sometimes people provide wrong details about their identities. For example, an applicant may provide a driver’s license number that’s assigned to another person. You might think you can get away with it, but it’s a bad idea to lie to an insurance company. Insurance fraud is against the law, and sophisticated tools are available to find discrepancies. Verisk markets technology that alerts insurers when applications for coverage likely have inaccuracies. Trying to pull a fast one on the insurance company also puts your finances at risk. Get caught in a deliberate lie, and the insurer could deny coverage for a claim.